This was a Quiet day, as we were in the car for most of it. In fact, we were so busy in the morning, I forgot to take many photos until later. It was clear we had Worn the kids out on our trip, they were perfectly content to finally get in the car and get going. We got on the road about 10:30 am, after doing laundry, loading the car, cleaning after ourselves, and cleaning ourselves. Chris even got his flush done too. It was quick morning. The only thing we left behind was that we forgot to throw away one last dirty diaper as we were leaving. The boys were ok with not stopping at Monticello. It turns out when you multiply the cost to visit, X5, it's rather expensive if you're not planning on doing a whole day. Plus Chris was still pretty wiped out from the festivities from the day before. 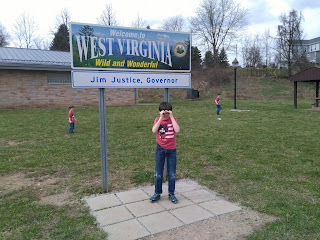 So I consulted Sam, whose birthday was the next day, as to which path to head back, go through West Virginia (the southern route) or return the way we came (Pennsy Turnpike). Sam chose to return the way we came. We popped in our CD of Alexander Hamilton and listened through Virginia, Maryland and into Pennsylvania. Jacob fell asleep moments after we hit the road (weird, but we weren't going to fight him) and slept for almost 2 hours. We popped in Percy Jackson and got even further. We started to get hungry and snacked on all the car food we had. We opted to just snack rather than stop for lunch. We figured we'd stop for dinner wherever we crashed for the night. We got out and ran around a little in West Virginia. We took advantage of this stop to do some math. 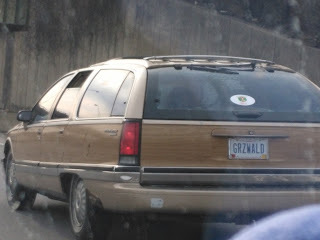 We had stopped just into PA on the way out, and we realized when he took a break, that we were only 5 hours from home. It was only 3:30 pm. We figured if we could make it to Columbus, that would be a good place to stop for the night, maybe play a little the next day. But Sam was our leader, as we approached Columbus, he wanted to stop for supper, and keep driving. We realized we could make it home by 9, and we could all wake in our own beds. That began to sound pretty good, and we hadn't even gone through our stash of movies yet. We stopped at Subway, popped in Moana, and headed home. 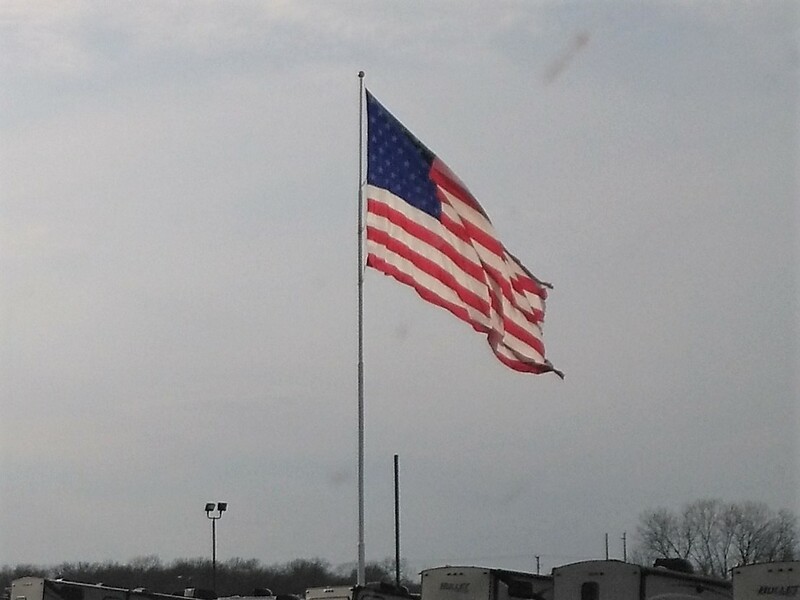 Eric and I got a good laugh on the outskirts of Columbus, that was from Vacation! Grizwold. Haha! This was the last picture I took, somewhere around Dayton I think. But this flag was huge, not Star Spangled Banner huge, but huge enough that it made me think it was a good photographic note to end the trip on. We made it home a little after 9, and got to sleep in our own beds. And we've been recovering all week. It's the one thing I like about the Balanced Calendar, the two week break for Fall and Spring. I like if we travel for a week, we have another week to Recover. I do not like it if we don't travel, because after two weeks of being home with little routine, the kids make me crazy. This trip went so well, even with puking in the Capitol, and a sick kid for half the week, I still can't wait to go back and do it again. That's a good sign! Friday was our last day in D.C.
Luckily, (if one could think of it that way) Chris woke up in the middle of the night feeling sweaty and gross. 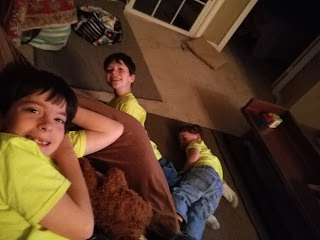 Normally, that wouldn't be good, but in this case, we took it that his fever had broken, and though weak, we thought he'd be ok if we took it on the easy side of our adventures. He had enough strength to do his flush and take a shower. So we figured we were good to go! We didn't realize until we were outdoors and moving for the day, that it was raining. Sam's the only one who smiled for the picture. It was not pleasant outside. Luckily, (again, theoretically) it was only supposed to be rainy until noon. So as we walked we figured we could go forth with the original plan, take the Metro downtown. Our last day for boarding the Metro, we got seats in the very last car. 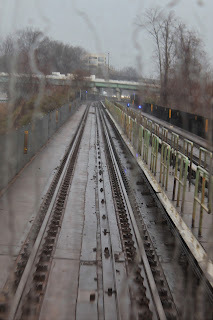 It was kind of neat to look out the back window of the 'caboose'. It's our last day to giggle like 12 year olds when we passed through the Foggy Bottom Metro Station. Chris was feeling so crummy on Wednesday, he didn't even laugh. We've all been looking at each other all week, "Foggy Bottom" Tee Hee Hee. 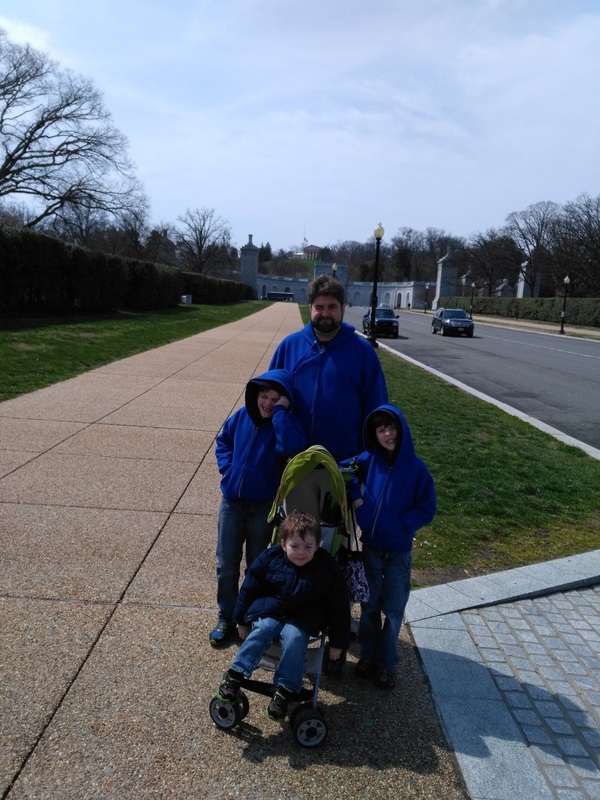 The boys had asked to see one thing on our last day: The Lincoln Memorial. 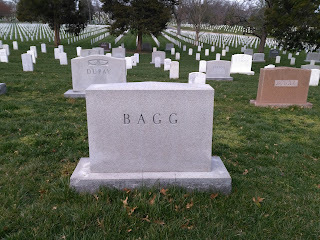 I still had one necessity to cross of my list, I wanted to find my Grandpa in Arlington Cemetery. So we tried to figure out the best way to make these things happen. With the rain, we thought the best bed would be to knock out Lincoln first, because we'd spent the least amount of time in the rain that way. The plan was to take the Metro downtown to the Smithsonian station. Right across the street from the Smithsonian station was a bus stop for the Circulator. God Bless the random stranger who was passing out pamphlets on our first day. She handed me this thing for the Circulator, which is a red line bus that specifically goes around the mall and the monuments. It's $1 per person per ride, no matter where you stop. It became clear that if we hopped on at Smithsonian, we could ride the loop for about 3/4 of the mall, then get dropped off at the Lincoln Memorial, literally right by the Memorial. 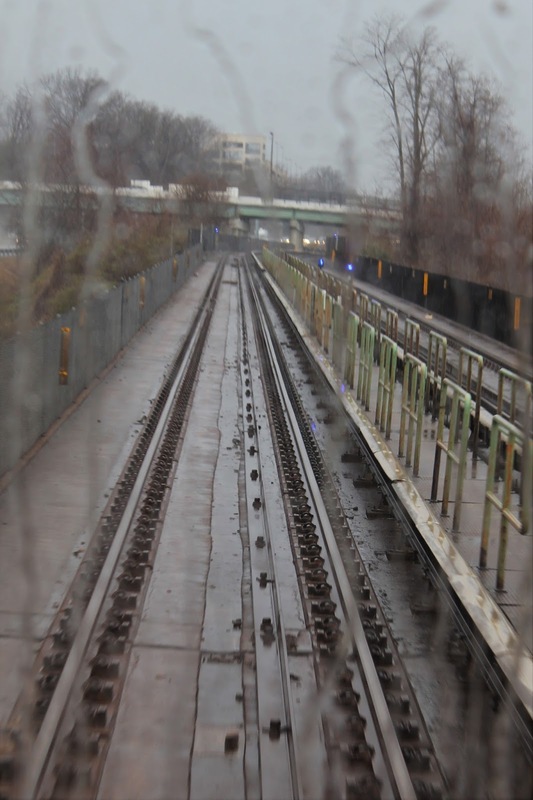 Then we could hop back on to the Metro, and take it over across the street to Arlington. On a map, it doesn't look far between Lincoln and Arlington, but it's a half hour walk between Lincoln and Arlington. And that was going to be a walk Chris was not up to. He was barely up for the walks we did take. But once we got moving he held up pretty well. Except for the coughing. I really thought people were going to kick us off the bus, because of the coughing. At least the older two were coughing into their elbows, and Jake wasn't coughing. As it turned out, we were only outside for seconds. We got off the Smithsonian escalator at the mall right by the castle, and there was actually a red Circulator bus right there. We made a mad dash for it, and the gentleman waited for us to load all our Crazy and for us to break out the SmartTrip cards. (Those were a great purchase, one car for Metro or Bus, you just load as you go!) Our busdriver rocked actually, but we'll get to that. We found Capitol Hill in the rain! The Smithsonian bus stop actually goes East towards the Capitol, before looping around at Union Station, and heading back down West towards the Tidal Basin and Monuments. We got an even better view of the Capitol in the rain, through the rainy bus window. How cool is this view! I'm telling you, the Circulator bus rocks! 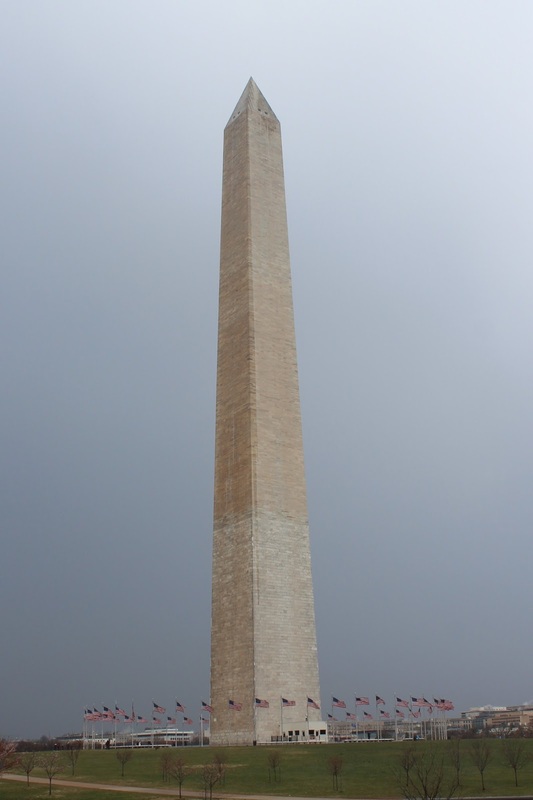 Because they are doing some work within, they weren't doing tours to the Top of the Washington Monument. So we didn't even bother, since we knew the climb would exhaust the kids. I got smart and when he opened the door, I leaned out and took pictures from the Bus Stop. 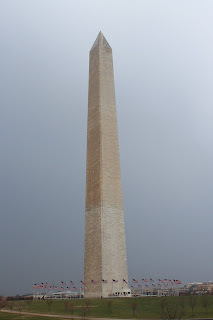 This was the closest we'd gotten to the Washington Monument on our whole trip! 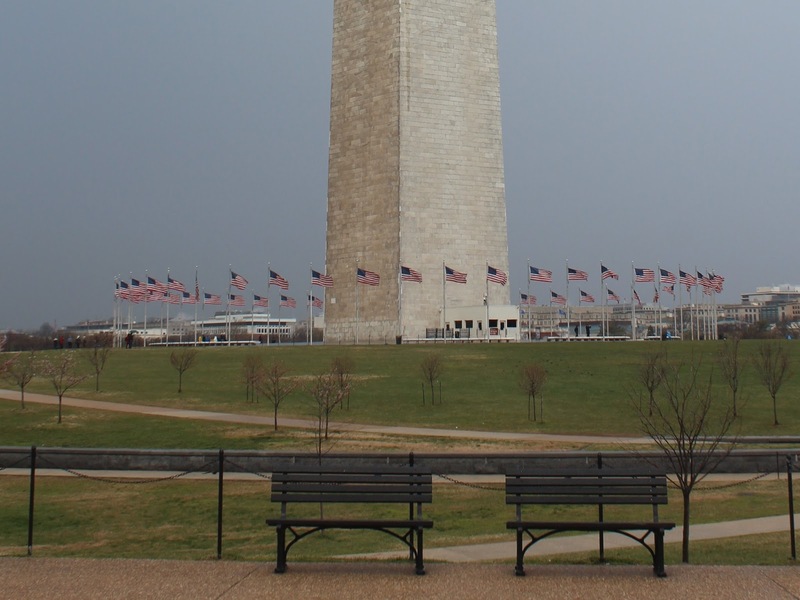 The Washington Monument is surrounded by flags. Sam guessed there were 50. Down the hill from that are some extra Cherry Blossom trees. Apparently, they'be been growing trees from the originals, and planting them all over town. Cherry Blossoms from the bus. 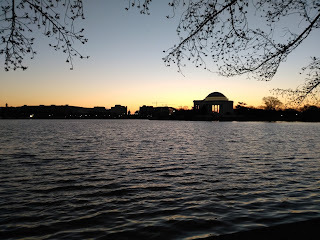 There was a Jefferson Memorial stop, kind of close to where I was the day before. About the time we were at the Capitol, Chris started to whine about how bad he had to go to the bathroom. 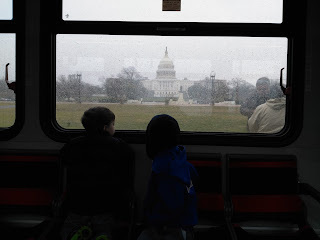 There was a restroom near the Washington Monument, but we didn't want to get off the bus. Chris kept whining. By the time we made it around to the MLK Memorial, he was downright annoying. I told him there were restrooms at Lincoln. Apparently, the bus driver had to go too, and there was a bathroom right by the MLK. So he stopped the bus, left the doors open, and told us he had to go too. He let us run out to go. Just Christopher and I ran to the bathroom to go, and we were very fast and efficient. It was so sweet, the bus driver was waiting in the rain, to make sure Chris got out ok, assuring me that he'd wait. And he did. Chris's mood improved so much after he'd peed. 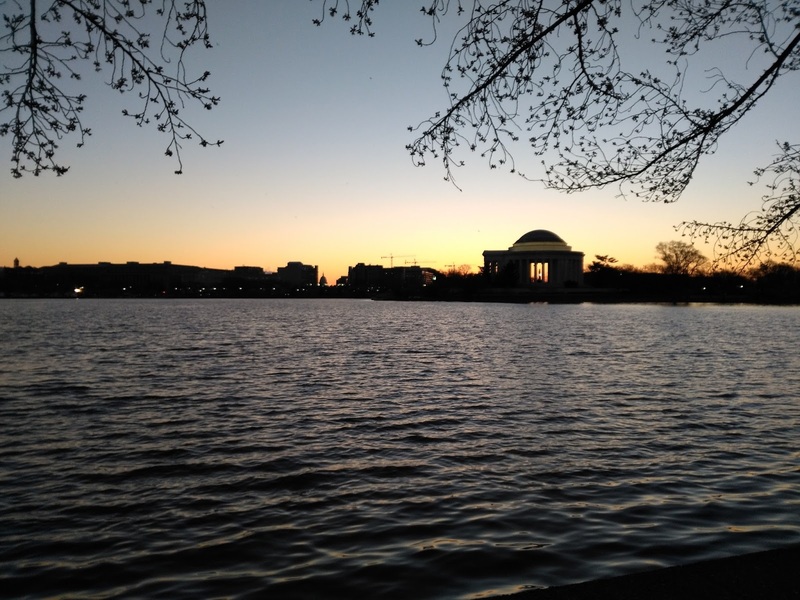 When we arrived at the Lincoln Monument, we got a Beautiful view of Mirror Lake and the Washington Monument. Beautiful even in the rain. It was the one thing they had wanted to see on their last day. Chris went over and read the entire engraved Gettysburg address. Sam worked on his Kumon homework, but for only a moment, it was something his teacher dared us to do. But he didn't last long, he was hungry, and near tears. It wasn't a good time to do much writing. We didn't have a lunch, just snack bars. We were having dinner at a reasonable hour, and we figured if we stopped for lunch, we wouldn't get the stuff seen we wanted to see. Plus, granola and cereal bars are super portable when we needed something fast to eat. Minimal mess for small people... usually. And it was the last day, so we didn't mind clearing out our stash. A kind Butler Bulldog fan offered to take a picture of our entire family. It was pretty neat that we were all sporting our Bulldog wear for the Dawgs Sweet 16 game. My Boys see the Vietnam Memorial. There was a bus stop just on the other side of the Memorial. But I sat with Chris for a moment, he was getting tired, he didn't have the heart to walk the fulllength, but Eric took Sam and Jake down to see the Vietnam Memorial. I remember visiting it often with my Dad too. I showed Christopher the 'guys', I remember hearing there had been a tizzy because of this statue, because it was the first statue of an African American in downtown D.C. Now it's no big deal. Color doesn't matter in war. Now it's a part of History. 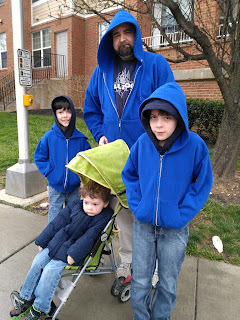 From there, we hopped on the Circulator, rode the bus around to the Metro stop at the Smithsonian again. 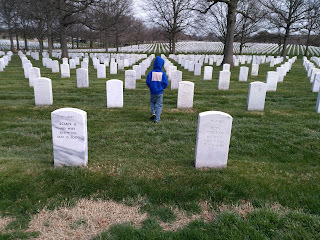 We hopped the Blue line train around downtown and across the river to Arlington Cemetary. It wasn't the fastest way, but it was the one with the least amount of walking. 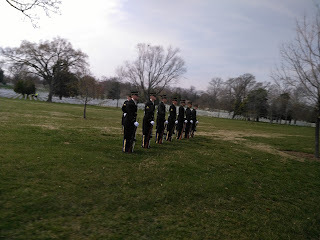 This was our boys at the entry of Arlington Cemetery. The kids were getting tired. 1. go into Handicapped Entrances, because the Security line isn't quite as long. 2. If you are visiting Family, there is an app that you can use to locate them, before you even arrive! 3. 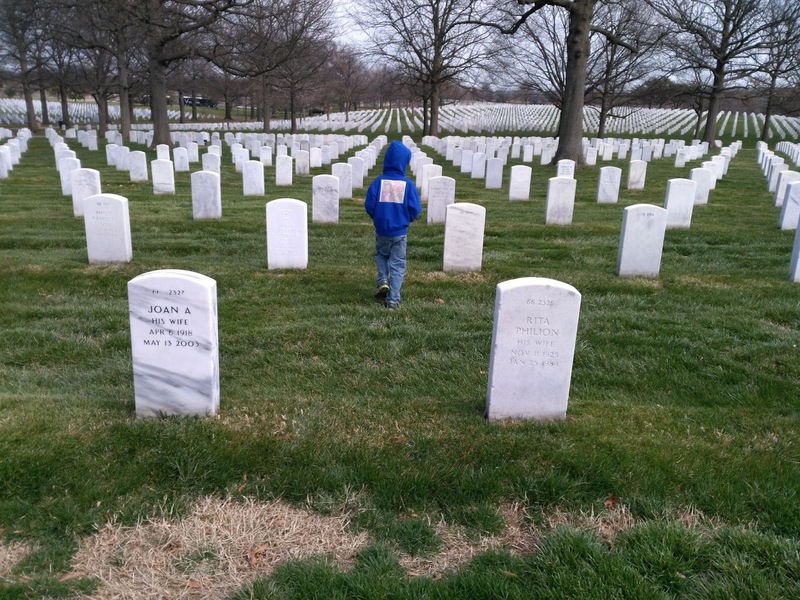 The app is called ANC (Arlington National Cemetery) Explorer, is Free, has a locator, photograph, and keeps track of which graves you are looking for, and the coolest part, GPS identification while you find them. 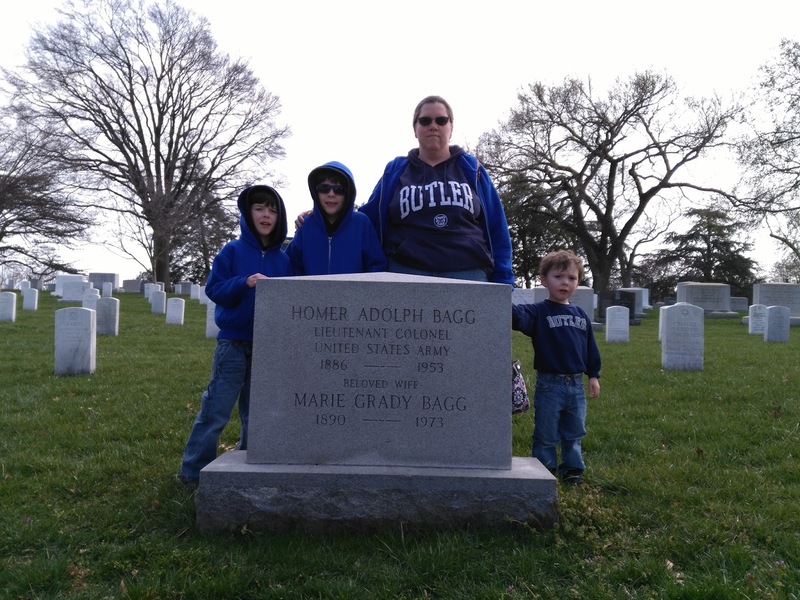 I was able to look for my Grandfather, find his section number, and grave number before we got there. On a whim, I searched just his last name, and found my Great Grandfather and Great Grandmother too. That was a bonus. So I thought I'd try to find both of them. The kids were so tired, that Eric just thought they might hang out at the Visitor's Center while I found my family. But when I went up to the Help Desk, they pointed me to the Tour gal, and said Tell her you need the Graveside Shuttle. 4. 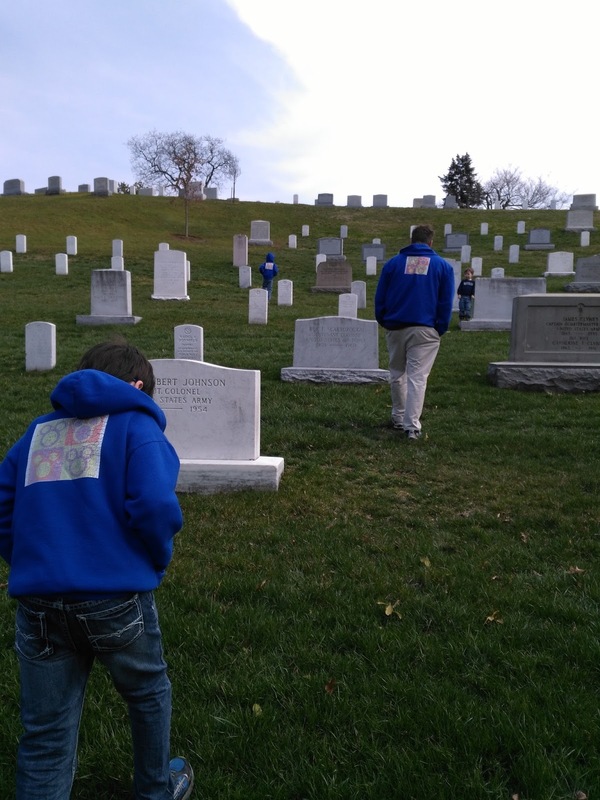 There is a FREE Graveside Shuttle that will take you to go visit any specific grave in Arlington. Of course, this does not include any of the Tourist Spots like Kennedy's or Lee Mansion. It's a dark blue bus with tinted windows. It was swanky. 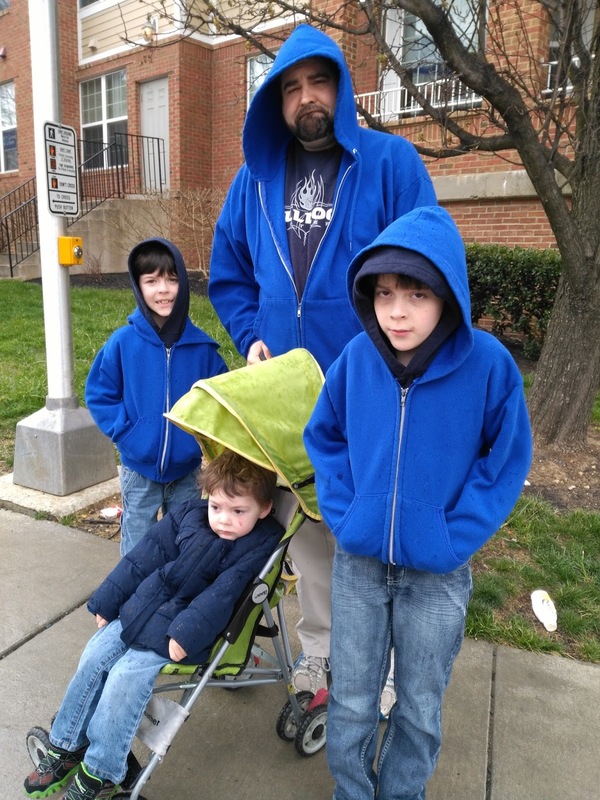 So the kids and Eric joined me on our mission. They dropped us off in the Section we were searching at the corner of a the main road, and it was up to us to hunt. But we had our App, so we were Good. As we were driving along, we saw a Service happening. On the opposite side of the street, they were preparing for the 21 Gun Salute. It brought tears to my eyes as I thought, THAT is what it looked like 11 years ago when my Grandfather was buried here. My Grandpa Jim died 3 weeks before Christopher was born. 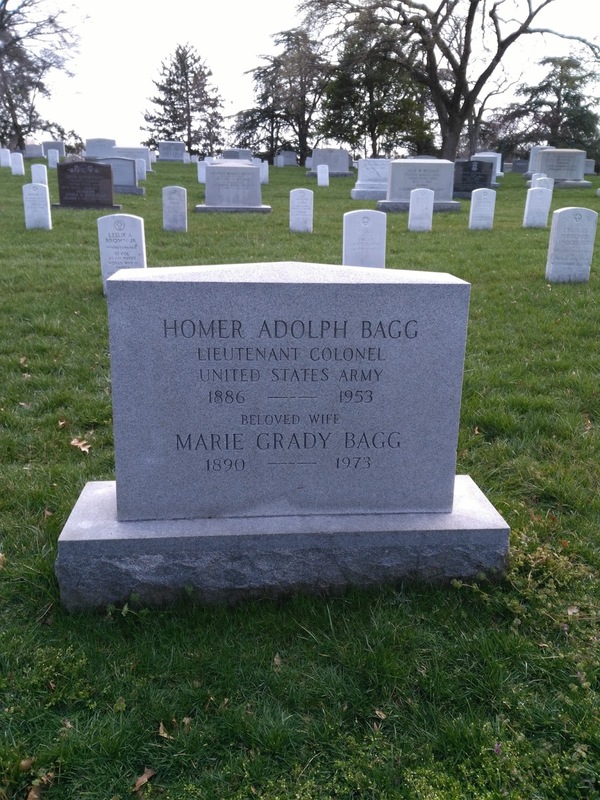 I was too pregnant to travel to the Viewing, and he was to be buried in Arlington. My Grandpa was Career military. He joined the Army when he was 18, in 1939, in the Cavalry when the Cavalry still had horses! He'd been the son of an Army man, and had the same haircut his entire life, buzz cut, the military standard. I used to rub his head for good luck. He was career army, in three wars, retired for 6 weeks, and started back up working at the Pentagon as a civilian, for another 25 years. He was a neat man. I wish my kids could've met him. 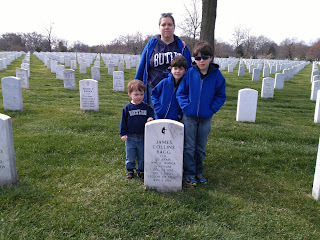 As we got off, Sam took note of the grave number within Section 66, that Grandpa Jim was buried. There was something Beautiful about seeing Sam go on this mission to find him first. 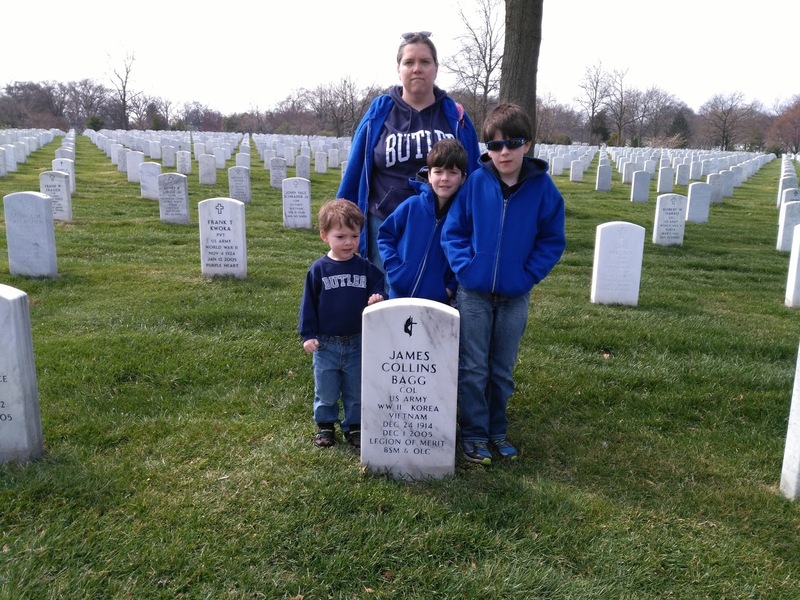 My Dad told us, that Grandpa Jim wanted to be buried on a hill in a shade of a tree in Arlington. There aren't many trees there, but indeed, he is buried in the shade of one. So behind him is a tree, and in front of him a view of the Pentagon. Appropriate, considering he was at the Pentagon on 9/11. He felt the impact, peeked out into the hall, and decided "Well, no more work is getting done today." He hopped on the last metro out of DC, literally the last, because they shut it down and didn't open it for days. And to the south east, we can see the new (new to us) Air Force Memorial. That's a new monument, one I'd never seen before, and you can see it for long ways around. I thought it was 9/11 Memorial, but that's different, also within view of my Grandpa's grave though. Still, it's really neat, as my Dad was in the Air Force back in the early 70s. I couldn't smile, but I wanted a picture of me and my boys by my Grandpa's grave. Someday, I hope they'll bring their kids here. Up the hill to find my Great Grandpa... or that one time the GPS lied. Meanwhile, then we called for the Shuttle to return, which it did, and it took us to Section 4 to find my Great Grandpa. 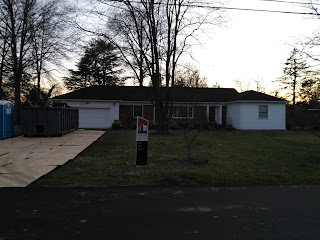 It looked like he was in the middle when we first got there, and I used the phone to try to find the numbers. We had to hoof up this giant hill to find him. Only he wasn't up there. The kids had run so fast and hard up the hill, they got tired fast exploring all of Section 4. Jacob shut down at one point after running to the top again. There was a street up there, and we had to yell at him to come back down, which he was disinclined to do, while the rest of us kept walking. It was 2, he was tired. But Oy. It was down the street, and kind of up around the corner. My Great Grandfather has a Beautiful view. A lot of the graves are narrow and have a thin stone. 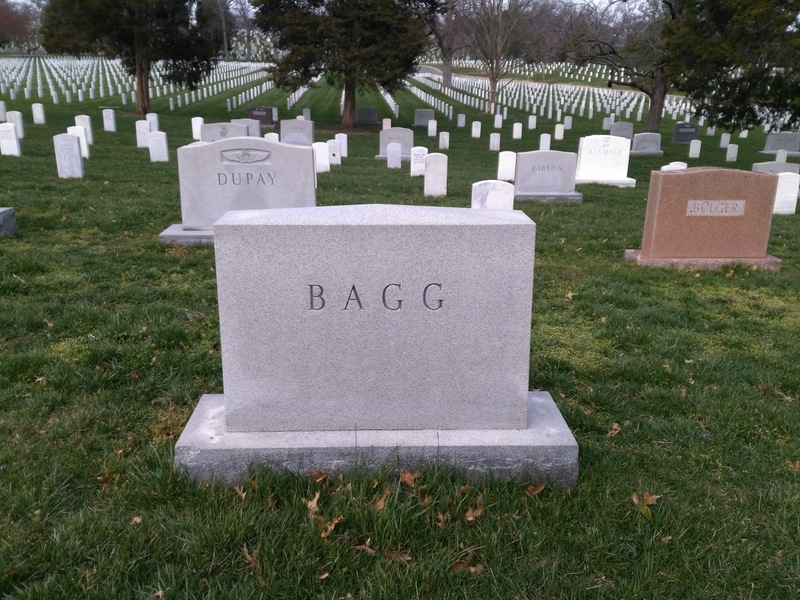 If the spouse joins the soldier at one of those thin stones, they engrave the back with their name. But on some of the older stones, they do a big stone. I asked why sometimes there are larger stones with multiple soldier names? I was told, in the cases where the remains of multiple people couldn't be sorted out, like a plane crash or something, they bury them together. That just broke my heart. We found my Great Grandfather. And Grandma Marie is buried here too. I didn't know that until we showed up. I never got to meet them, but my parents got to meet my Great Grandmother. Meanwhile, I learned that my Great Grandpa's middle name was Adolph. I knew his first name was Homer. So was my Grandpa's, but when he turned 18 he changed it to James. We joke, he purposely changed his name to Jim Bagg, before a Gym bag was even a thing. It's their Steinway baby grand piano that my children practice every day. It was a wedding present to them, when they got married. 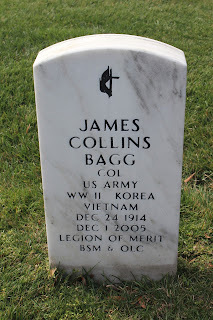 I'm so honored to have Family buried here in Arlington. 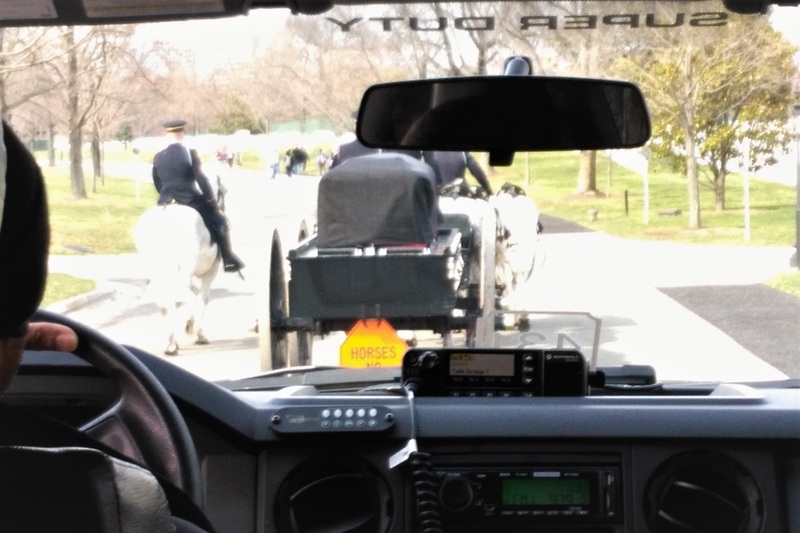 As the graveside shuttle took us towards the entrance of the Cemetery, we found ourselves suddenly crawling slowly. I glanced down the aisle and saw this. We were behind a Procession. It brought tears to my eyes. This is what it looked like when they buried my Grandpa. I couldn't be there then, but I could be there now. The driver took off his cap and I said a little prayer. They padded along and horse pace, slowly and respectfully. People at the side of the row pulled over, put their hands over their hearts as we all passed. It was poignantly beautiful. It was an Honor to be there for whoever this was. The kids were pretty tired by the time we got back down to the visitor's center. So we opted to get back on the Metro and head out of town. It ended up being Perfect Timing, as it was nearly 4 by the time we got on the train. We learned that it can get to be a lot of people on the train during rush hour, and finding seating for 5 together can be tricky. So we chose to be early or late (mostly early) most of our downtown days. For our last evening in D.C. I had another friend Katie who I wanted to see. We were friends in High School. She went to GW and worked politics and stuff for a while, until her daughter was born. Now she's a part time consultant, and takes care of her special needs daughter. I wanted our spouses and kids to meet if we could. After Chris's fever Thursday (our original date to see Katie), we bumped our plans to Friday. She had found a Pubbery that was likely to show the Butler Game as well as had good food. She ended up choosing very wisely. We met up with them at 5:30 and got to chatting and eating all the good things. The kids all shared some yummy pretzel sticks. I got some kind of local beer, shrimp and grits that were too tasty to remember to take a picture of. (We were in the South and all, got to eat the fare of the people.) The kids were all good, which was a decent feat considering how tired they were. Butler started doing badly, so we left the bar to try to watch online back at the apartment. It was our fault. I think we're just not allowed to leave town when Butler is in the Sweet 16. They did not play well. We didn't do any of our normal good juju things. It was a sad note to end our trip on. So we drank Cherry Blossom beers instead. This is what I did on Thursday morning. 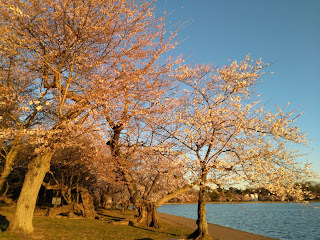 I went to watch the sunrise by the Cherry Blossoms. Christopher woke me up at 5:30 with a fever, crying because he was coughing, wanting oils and cough medicine. That's how pitiful he was, he even wanted the medicine. I had gone out for drinks the night before with my friend, and she asked if I was going to go downtown for the Flowers. 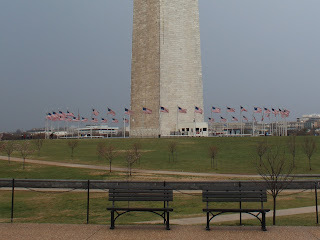 I had never been to Washington D.C. during Cherry Blossom Festival. This was my first time. And it just happened that the flowers would be blooming during our visit, because the winter had been so mild. I had though about going Thursday or Friday to avoid the weekend crowds. Truthfully though, I was the only one that cared about seeing the flowers. Each of us was getting to do their own 1 thing, and the flowers were to be mine. But when Chris woke me up early, rather than go to back to bed, which I knew I'd have trouble doing, I got dressed, and drove downtown in the dark by myself, and found the Tidal Basin by the Jefferson Memorial, so I could watch and photograph the sunrise. I knew we wouldn't get down there together, it's a good bit of walking around the basin. I was in a jacket, with gloves, and it was 29 degrees outside. It was Crazy. I was Crazy. But the whole thing was Crazy Awesome. 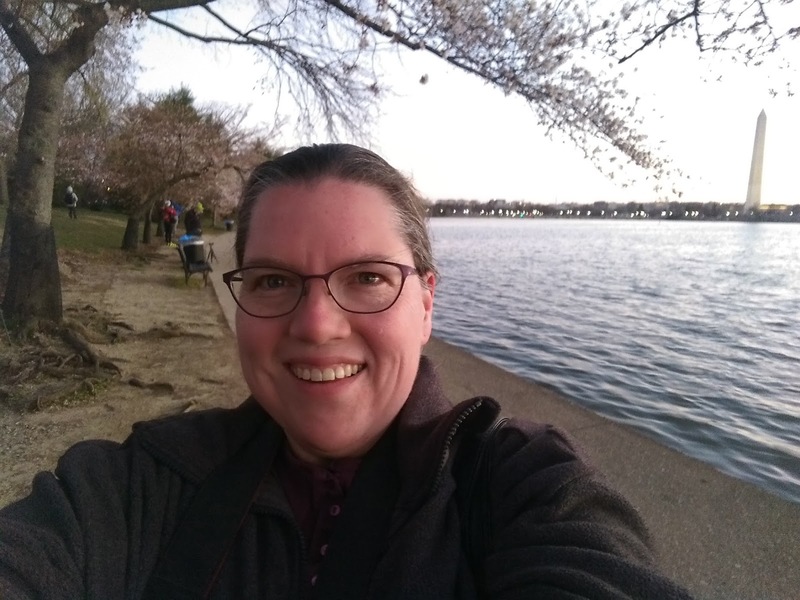 I staked out a great spot where I could see the Jefferson Memorial, and the Capitol, with a view of Cherry Blossoms in every shot I took. The sun rises with Jefferson. I couldn't tell exactly where the sun was going to rise, I didn't expect to see it Through the Memorial. Lisa and I used to call this the deodorant because of the rounded top. But hardly anyone uses round topped deodorant anymore, Chris didn't recognize it. Still, this took my breath away when the sun rose. My Grandma knew the man who was the hand model for the statue of Jefferson, he lived next door. She would tell that story over and over, every time we saw the Memorial. I missed having around to tell us that same old story when I went down by myself. I missed having my Dad around on this trip. But he was in Iceland while we're in DC. Our postcards must've passed each other. And then the sunlight hit the cherry blossoms, and they glowed. 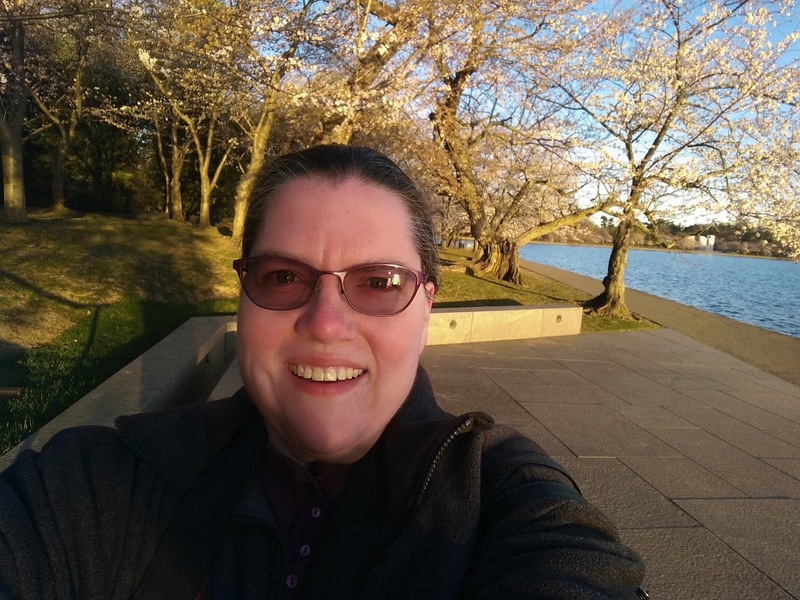 After the sun hit the Jefferson Memorial, I began to walk around and explore a bit for different angles, and to find the sun. They were even more lovely when the sun hit. The flowers glow with the Monument in the background. 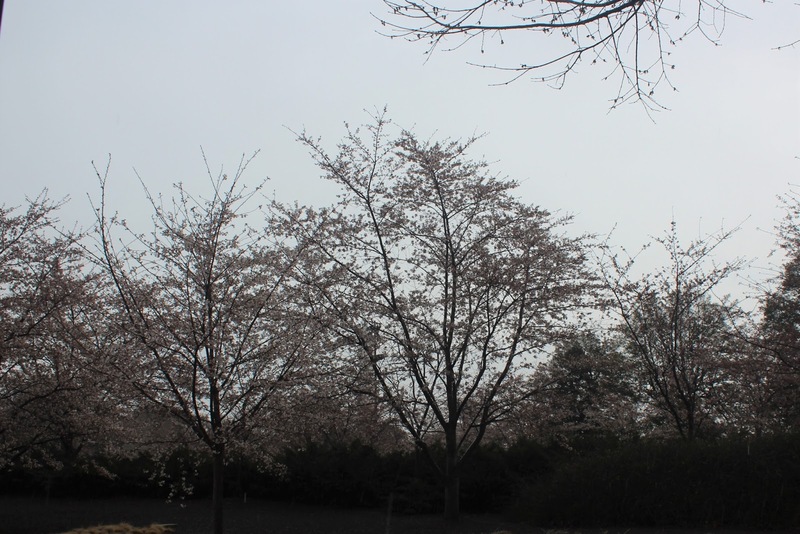 As the sun rose, the Cherry Blossoms showed off their lovely pink and white. This was the path less traveled by the FDR Memorial. This was a new monument to me, they were building it when I was here in 1997 with Eric. We're not allowed to pick any blossoms. So I didn't. But I found one bloom on the ground, so I picked it up and pressed it in a map that I had in my purse. That doesn't count, if it came off the tree naturally, right?! 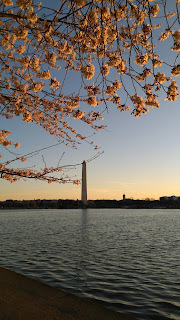 I turn about 45 degrees, and see the Jefferson Monument through the Cherry Blossoms. Ready for a Cherry Blossom closeup! I felt so lucky to be here. Cold. But Lucky. It was so cold my fingers went numb, and I wasn't sure if my pictures were snapping. 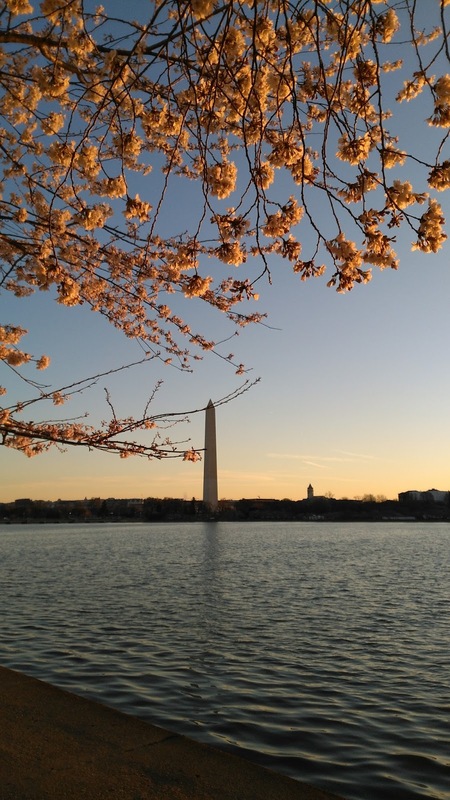 Sunrise Panorama of D.C. with Cherry Blossoms. Once I walked toward the sunlight, the flowers really started to pop. I still couldn't feel my hands, but I wanted to capture myself in the feeling of being surrounded by the beautiful Cherry Blossoms. The original 3000 trees from Japan are over a hundred years old. 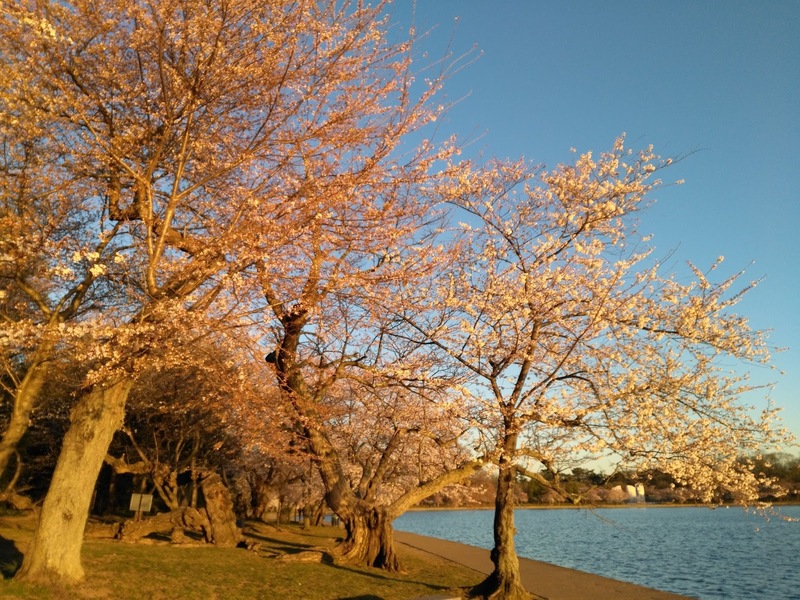 But their babies are being planted all over D.C, and after WWII a number of cultivars were sent back in Japan to help repopulate their decimated supply. We had been able see cherry trees all over D.C. I kept asking Eric, think that's a cherry tree. The odds are that it was! Meanwhile, after I came back to our Apartment, Chris was still feeling puny. I kept misnaming it. 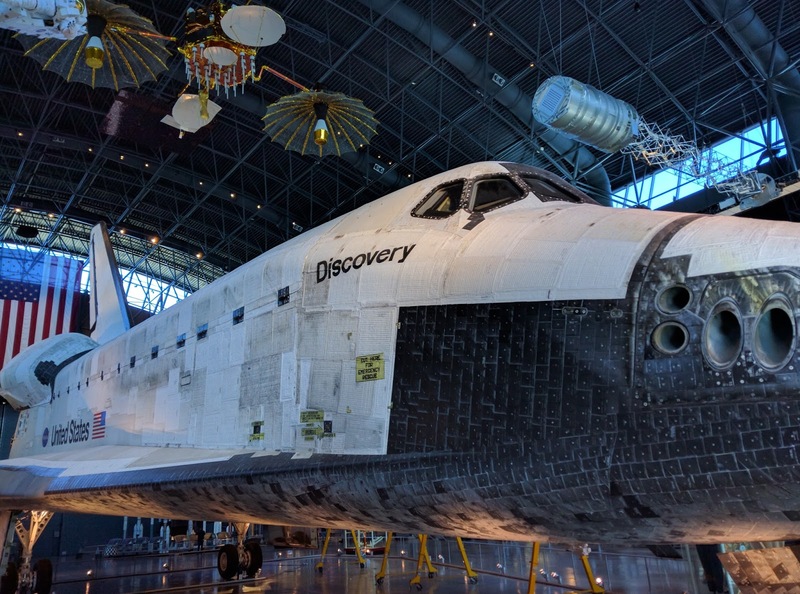 Let's just call it Air and Space, Part Deux. It's a chain of hangers out by the airport, big enough to house the few planes that are too big to fit in the Smithsonian Air and Space downtown. While they were at the Space Museum, Chris watched cartoons, and I was so cold, I curled up under the covers and fell asleep. The next few pictures are from Eric. Jake and Sam get a photograph down the bath. 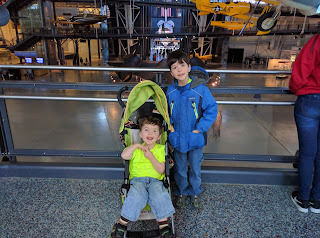 There's a black B-2 bomber right behind the boys. And there's the Space Shuttle down the way over their heads. The bomber was used in the most recent Transformers movie, which the boys didn't see. But it was one of those Stealth Bombers, very very cool. Note all the space damage. How cool is that?! It's amazing to see the tiny panels that make up the Space Shuttle, and how much of a beating they take. 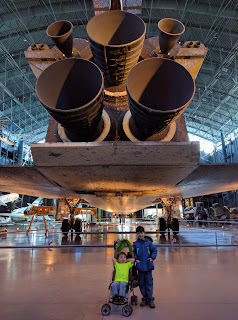 This thing flew like 5 million miles in it's few years, and Eric can tell you more, but it's pretty flipping awesome. 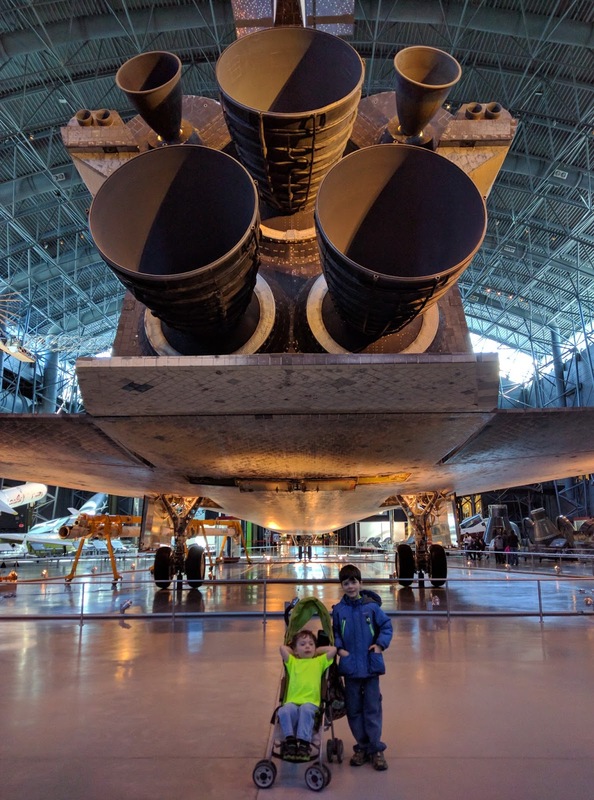 The Space Shuttle is Huge. Honestly, I'm really jealous that they got to go see it. I got a nap. So that's not too shabby either. Eric used the Panorama feature of his phone. It makes the center of the ship look a little rounded but it's the whole shuttle. The thing barely fit in one shot. Next to the hangers, is a viewing station. 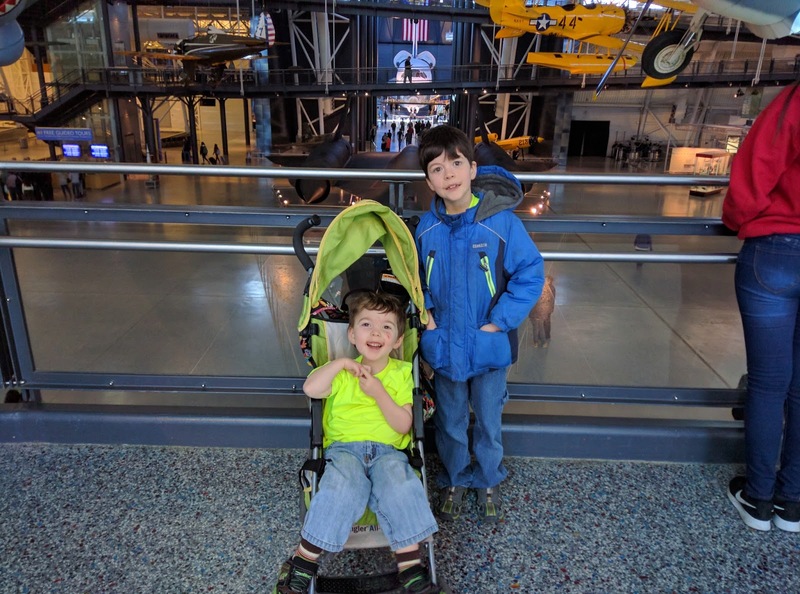 At the top, the kids could see planes taking off and landing at Dulles right next door. Let's pretend to tell the planes where to go! After their adventures, the little boys came home, and everyone napped again! I had been so cold earlier, bundling up under the covers was the only way for me. I got two naps on Thursday. That's a Vacation right there! After naps, and supper, I talked the boys into one more drive. 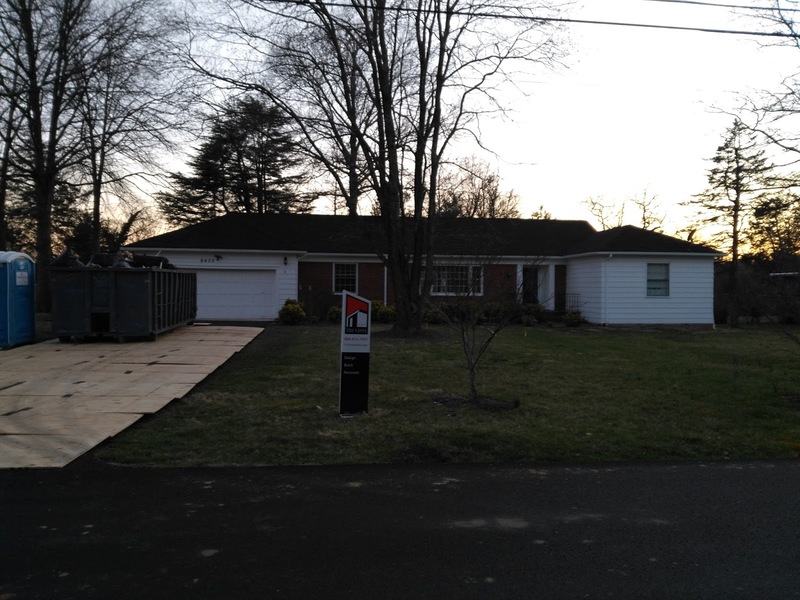 I wanted to see my Grandpa's house on Overlook Dr. It's in better shape than my Grandma's house. Hers had been demolished. After our adventure, we came home, and finished the movie Trolls. When we don't have a ton of room for Family Movie Night, we make it work. How cute are these yahoos? !